On June 12th, 2014 Infosys Ltd., India's third-largest IT services exporter, named Dr. Vishal Sikka as its Chief Executive Officer and Managing Director. After joining SAP in 2002, he was named as SAP's first ever CTO – Chief Technology Officer – in 2007. Dr. Sikka, a Stanford University alumnus and erstwhile member of the Executive Board of SAP AG and the Global Managing Board, will take over from the current Infy Chief Executive Shri S.D. Shibulal, one of the founding members of the conglomerate, on 1st August 2014. The very dynamic Dr. Sikka, with his colourful and extremely rich technology background spanning international businesses, years and his own ventures, will, undeniably, bring to board immense experience and knowledge. But, he would be taking the place of a very senior (one of he 7 founding members) member of the Infosys' core team. Will Vishal Sikka manage to fit in S.D.Shibulal's shoes effortlessly? How will Dr. Sikka's stint at Infosys be? Ganesha looks at Infosys' soon-to-be CEO's Solar Horoscope and his appointment day's Event Chart to predict the way ahead. 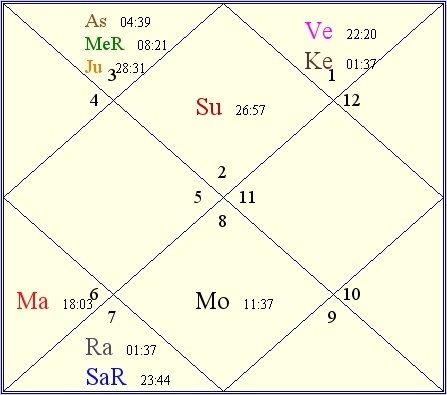 A look at Vishal Sikka's Kundali reveals that his Chart has two very auspicious planetary combinations working in his favour. In his Chart, (Swagruhi) Mercury is posited in its own Sign in Gemini. Secondly, Jupiter is placed in the Sign of Cancer – which is the Sign of Exaltation for the mighty Jupiter. Considering the current coveted opportunity he has bagged, it is noteworthy that as of now the transiting Jupiter is passing through Sikka's Natal Jupiter (which as aforementioned, is quite favourably placed). This planetary position indicates a big change - for good, and overall progress. However, there also is a problematic planetary combination that issues a warning for Sikka. In the coming time, he may need to check his aggression. Chances are that, owing to Rahu's (North Node's) unfavourable transit over his Natal Mars, Sikka may end up taking quite a few aggressive and unpopular decisions. Plus, around this very time, Ketu (South Node) shall be transiting over his Natal Saturn, which shall slow down Sikka's natural rhythm considerably. 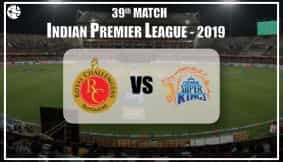 Thus, Ganesha feels that although, all in all the forthcoming time shall bring progress for Vishal Sikka, there definitely shall be challenges and issues needing resolution. Thus, Dr. Sikka will have to move ahead with caution, trying his best to maintain a balanced approach and speed. He will also need to take care of his health, adds Ganesha. Ganesha also took into consideration the Event Chart created for the date on which Dr. Vishal Sikka was announced as the soon-to-be CEO and MD of Infosys. 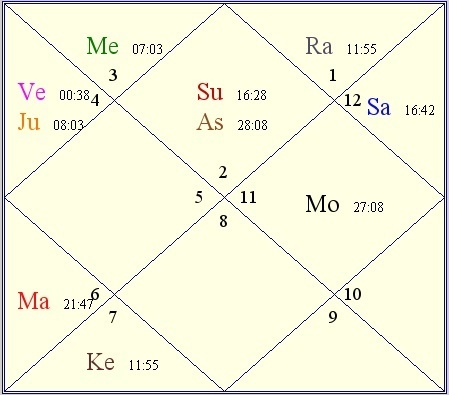 Ganesha feels that in this Solar Event Chart, the only and most redeeming factor is Mercury's favourable placement. However, in this Event Chart Saturn and Rahu are in a combination in the 6th House – the House signifying profession as well as the day-to-day affairs at work/ profession. Additionally, Venus and South Node (Ketu) are present in the 12th House (the House of Losses) in this Chart. Both these planetary combinations are negative, and may lead to Dr. Sikka being perceived as an unpopular leader amongst the employees set at Infy. In fact, Ganesha feels that the new CEO may face problems in managing and appeasing the employees. And, he will have to be very careful which dealing with the issues like attrition, employee-churn rate, new recruitment, employee-satisfaction etc. Ganesha, nonetheless, wishes Dr. Vishal Sikka very best!